In the education of visually-impaired people, learning Braille is an important facilitator of basic communication through reading and writing. 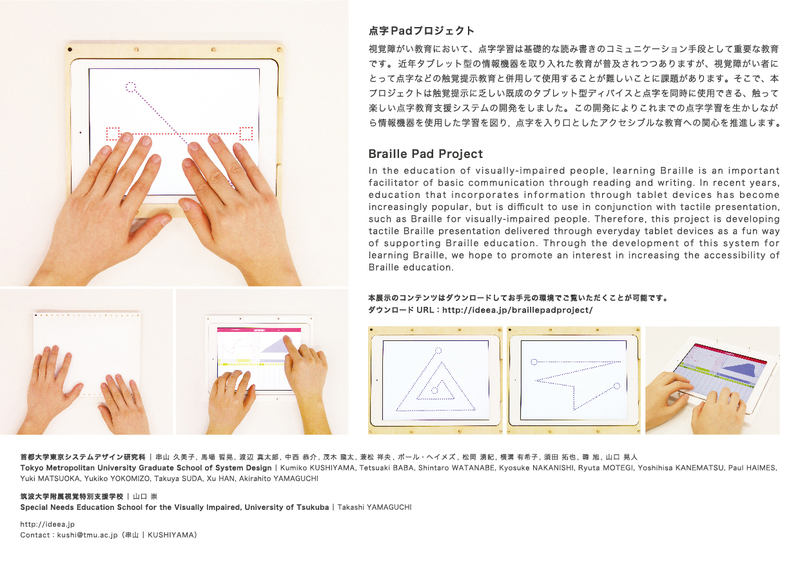 In recent years, education that incorporates information through tablet devices has become increasingly popular, but is difficult to use in conjunction with tactile presentation, such as Braille for visually-impaired people. 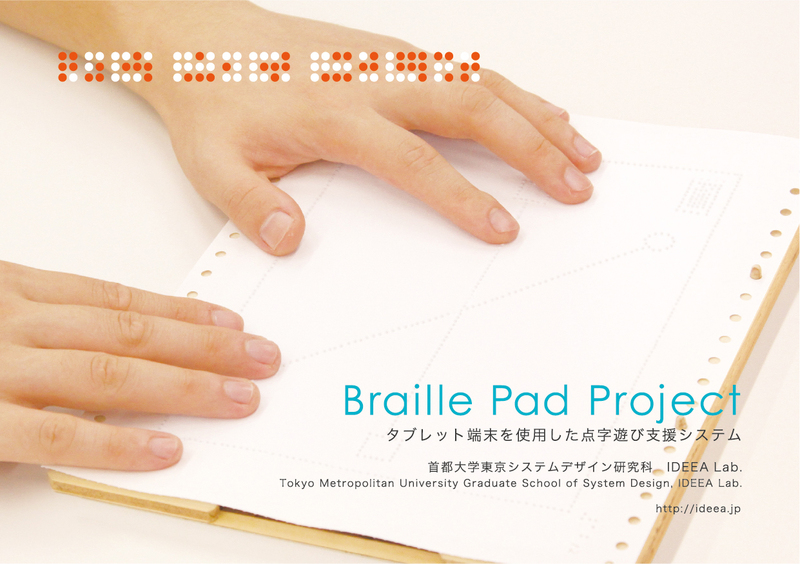 Therefore, this project is developing tactile Braille presentation delivered through everyday tablet devices as a fun way of supporting Braille education. Through the development of this system for learning Braille, we hope to promote an interest in increasing the accessibility of Braille education.